If you’re a consumer-facing business of any size, you’ve probably got a mobile app. You may well take a close interest in how well it functions, and even how many new or existing customers download it every day. 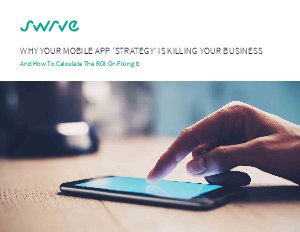 But if that’s as far as your interest goes, your mobile app ‘strategy’ - or, rather, your lack of one - is almost certainly killing your business. That may sound like an extreme proposition. But the numbers bear it out.